Jacco Valkenburg is an international recruitment expert, trainer and author of 5 bestselling books about recruitment (30.000 copies sold). He has extensive experience in global recruitment strategies and execution spanning numerous countries for leading companies. 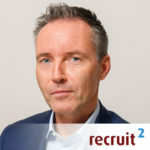 As founder of Recruit2, Refer2 and Recruiter University he provides companies with (Global) Recruitment and Employer Branding strategies and execution for leading companies. His mission is helping companies ‘from good to great staffing’. He launched Refer2, a full service provider for recruitment solutions such as referral campaigns and Mobile Apps. Furthermore he is managing a group of 200.000 Recruitment Consultants on LinkedIn and has it’s own blog GlobalRecruitingRoundtable.com.